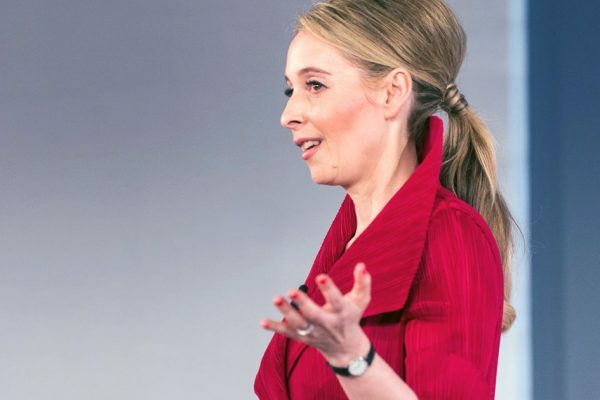 Noreena Hertz Microsite | CSA Celebrity Speakers – Noreena Hertz is a visionary economist who gives keynote speeches about business strategy, digital disruption and transformation, artificial intelligence and managing the new geopolitical and economic landscape. look like you – you have a problem." Professor Noreena Hertz is a visionary economist, decision-making guru and author with an impressive track record in predicting global trends. She has advised some of the world’s leading political and business leaders on strategy, economic and geo-political risks, digital transformation, Generation K and millennials. Noreena commentates regularly in the US and Europe, both in print and on television and is frequently sought after as a keynote speaker. Her global reach is noted at TED, The World Economic Forum and Google Zeitgeist and she has shared platforms with luminaries such as President Bill Clinton and James Wolfensohn. Noreena is Visiting Professor at University College London as well as having held professorships and fellowships at world-leading Universities. In 2017 Noreena moved from her role as ITV News Economic Editor to her own radio programme. She launched her own show – MegaHertz:London Calling, on Sirius XM in the US. On the show Noreena provides insights and analysis on what is happening in Europe and the European viewpoint of what is happening in the US. With the recent triggering of Article 50, what do you think the economic future is for Britain over the next two years and into the future? Assuming that Brexit will go ahead the consensus amongst economists is that it’s likely to come at a cost. How big a cost remains a question given how radically uncertain the environment is. Key factors that will affect this include the outcome of the UK General Election, the outcome of the French and German elections, what happens to the pound, what kind of post Brexit trade deals the UK manages to strike, how the financial services sector is affected and the ultimate position of the UK government on migration. All of these are impossible right now to predict with certainty. Take the pound. Whilst it fell markedly after the Referendum vote it now looks likely to strengthen over coming weeks given that the calling of a General Election is viewed positively by currency traders who see it as massively increasing the odds of a “softer” Brexit. But will it continue to rise? Not necessarily. It’s important to remember that the kind of Brexit the UK ends up with is not Theresa May’s gift. So any rumbling, grumbling or hardball posturing from Brussels, EU ministers, or negotiators over coming weeks and months is still likely to affect the pound. Rumblings and grumblings within the Conservative party will also have an impact. Then of course there’s the Euro and Dollar – neither of which have certain trajectories right now – each of which affect the value of sterling. You say that “this is an age of radical uncertainty”, can you expand upon this? There are two main strands to this – political risk and technological disruption. Can you think back to a time in recent history in which politics globally has been so unpredictable? In Europe a number of elections loom – France, the UK, Germany – the results of which are at this time simply impossible to call with certainty but whose outcomes could affect the very future of Europe itself. The unknowns around Brexit are many – we’ve already discussed some of these. When it comes to the US it’s very unclear how a Trump presidency will play out domestically. Whilst profound reform of the tax code and a massive programme of de-regulation have been proposed, it’s not certain which of his policies Trump will be able to get through Congress. And will he even last the course? Bookmakers are currently offering odds of 1/1 that the President will either resign or be impeached before the end of his term. Geopolitical risk is particularly elevated. Rhetoric between the US and Russia is currently redolent of the Cold War Era. But back then there was a code of behavior that was adhered to. Today, absent such norms, how this tension will manifest is far from clear. More generally Putin’s agenda of destabilization and use of non-conventional weapons such as cyber-attacks creates a new level of instability. And then of course there’s the mounting tension between North Korea and the US, the increasing authoritarianism of Erdogan in Turkey, the rise in a number of European countries of separatist movements, another looming Greek debt crisis and the preponderance of lone wolf type terrorist attacks in Western cities. With regards to technology – this is guaranteed to continue its disruptive course. From augmented reality to artificial intelligence, from the power of 5G to the “internet of us”, from self-driving cars to delivery drones – if you thought the past decade was disruptive, you ain’t seen nothing yet….I have served on the boards of two businesses – Warner Music Group and RWE – that have been radically disrupted by technology and understand all too well the strategies companies need to adopt in order to triumph at such times. Focusing a bit more on technology how worried are you that advances in artificial intelligence will lead to significant numbers of job losses? To be clear I’m not a Luddite by any means and am excited about the many gains that technological advances will deliver. But when it comes to the impact of AI on jobs I am concerned. There is of course an optimistic scenario before us – one in which advances in artificial intelligence lead to machine and man uniting to share tasks and help each other. Man and machine working side by side on the production line; machine aiding man to be more productive, more efficient, faster…smarter. A win-win scenario in which we all benefit from technology’s advances. Under this scenario man is freed from boring process driven tasks so that he or she can create, innovate, think, engage. This is the future in which oncologists no longer have to spend hours interrogating scans or blood test results as they have handed that over to Artificial Intelligence which can do it better and faster – leaving them with time to do new medical research and counsel their patients. A future in which nurses no longer have to bathe or lift patients, freeing up their time to hold patients’ hands and provide emotional care. But I fear that this is the romantic view of the future. For whilst AI will serve man to some extent for sure, to a considerable degree I believe we are heading towards a future in which machine replaces man. I’m not just talking blue collar jobs, it’s clear that white collar jobs are also going to be in the firing line – bookkeepers, paralegals, insurance claim assessors, surveyors, even authors. We’re already seeing these kinds of jobs being taken by robots and AI. A large insurance company recently fired a team of loss assessors – computers could make these assessments more accurately and faster. The novel “The Day a Computer Writes a Novel” recently made the short list in a Japanese literary competition. It was written by…a computer. A future in which machine replaces man will of course deliver vast cost savings for companies. But under this scenario who among us is safe from being replaced by a robot becomes a real and pressing question. As does how unemployed man have money to consume. And what unemployed man will choose to do. Bored, angry, poor and educated is a very worrying combination with significant societal and political implications. So how do you make smart decisions in times as unpredictable as these if you are a business leader? In part this is about placing your bets widely. What disruptive businesses can you take stakes in or partner with so that you benefit from a wider range of potential future revenue streams? How can you experiment effectively internally so that when the world changes you are ready to change with it? How can you effectively hedge so that downside risks are better mitigated? In part this is about building an organization fit for this new Age of Radical Uncertainty – an organization that is built to problem solve and innovate. 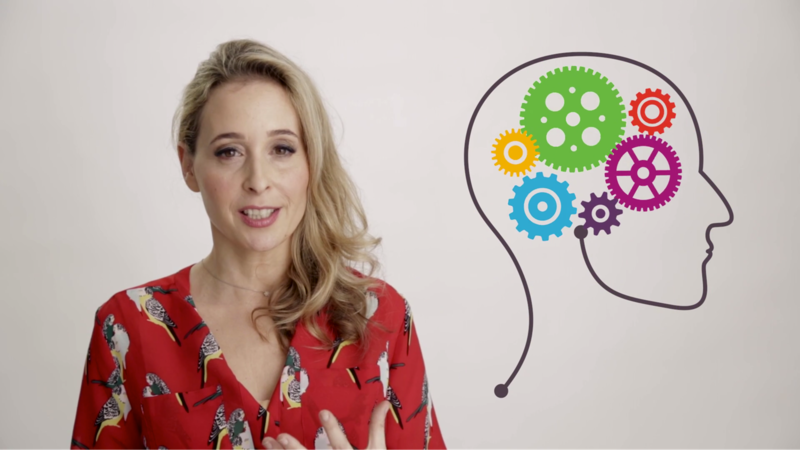 There is a host of research that shows that teams characterized by diversity – made up with people of different genders, ethnicity, ages, skills – outperform those that are more homogeneous when it comes to innovation, decision-making and problem solving. If your management team is made up only of people who look like you – you have a problem. But this is also about having the right corporate culture. This is partly a culture that welcomes divergent points of view – at the Federal Reserve employees are rewarded for airing different points of view – but also one that knows how to manage dissent. Jeff Bezos the CEO of Amazon has talked about the importance of a strategy of ‘disagree and commit” i.e. one of seeking out different views, considering them, but then forging a strategy fast. In a world as fast moving as ours speed is of the essence. Finally this is about preparing effectively for your next generation of customers and employees, a generation I call “Generation K” – today’s 15 to 22 year olds. Businesses have paid a lot of attention to millennials, today’s 23 to 35 year olds yet know very little about the characteristics of the generation that follows them. I have been researching Generation K for the past three years and what is clear is that they’re profoundly different to ‘millennials’. This first smartphone generation has not only been forged by technology but also by the global financial crisis and a world of growing existential threat. They are extremely distrustful of big corporations, surprisingly privacy conscious, massively concerned about inequality and don’t want to passively consume or work. Generation K demands speed and autonomy but also craves security and human interaction. It wants to co-create and imprint its own stamp. 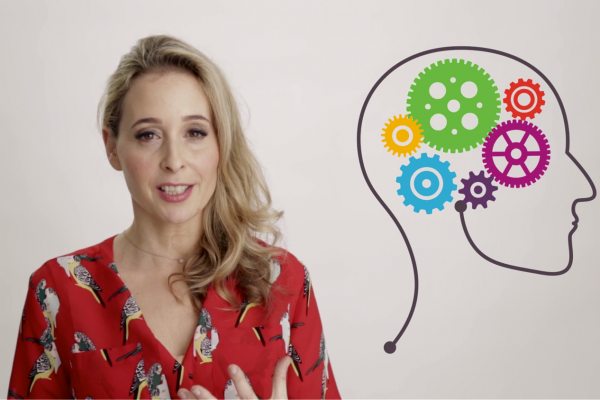 Really understanding Generation K and how to attract, retain, engage and deploy them is critical if you are to successfully future-proof your business. We face momentous decisions with important consequences throughout our lives. Fortunately, we have never had better access to information and expertise, but the data deluge has become a double-edged sword. Which sources of information are credible? How can we separate the signal from the noise? Whose advice can we trust? Who should we believe? How can we make sure we make the right choices? How much should data guide us versus our gut? In a world of disruption, uncertainty and complexity, this is a book that will help you through that data deluge and show you how to make better and smarter decisions. 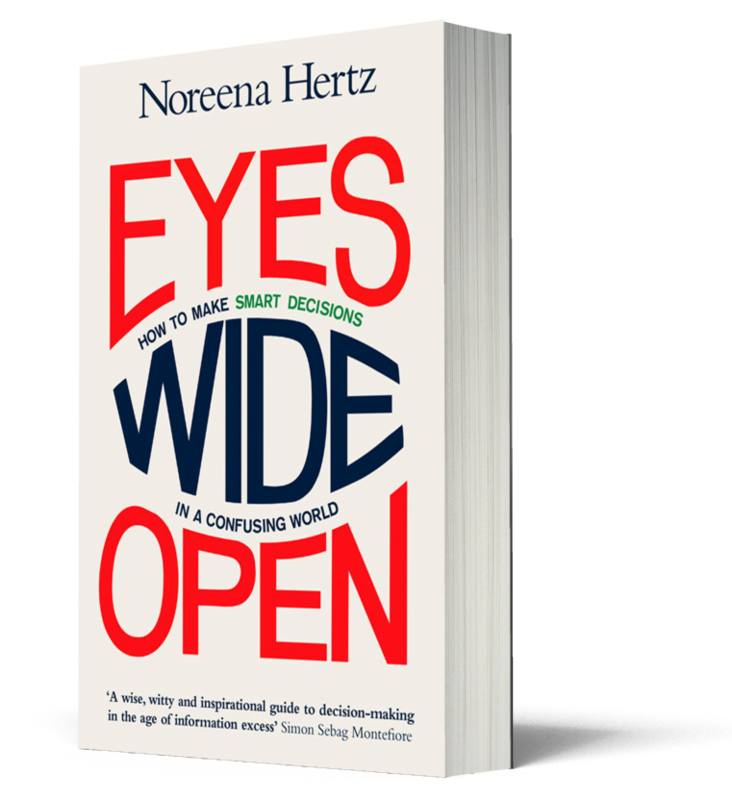 Noreena’s thoughtfully tailored keynote speeches combine a deep analytical understanding of global trends, threats and opportunities with practical solutions for how to make smarter decisions in a complex world. By drawing upon her expertise in economics, geopolitics, technology and demographics as well as her experience as board member and adviser to major global corporations, Noreena leaves her audience with a clearer vision of the future, and actionable insights for how to succeed in it. She is also an experienced and inspiring moderator – having moderated sessions at the World Economic Forum, Davos as well as at leading corporate events. As a moderator she brings to an event her energy, warmth and intellect. Noreena is in addition a much sought after broadcaster and commentator and regularly appears on flagship television and radio programmes globally. If you would like to book Noreena Hertz for your next event, please call Dagmar O’Toole on +44 1628 601 462 or send an email to dagmar@speakers.co.uk. 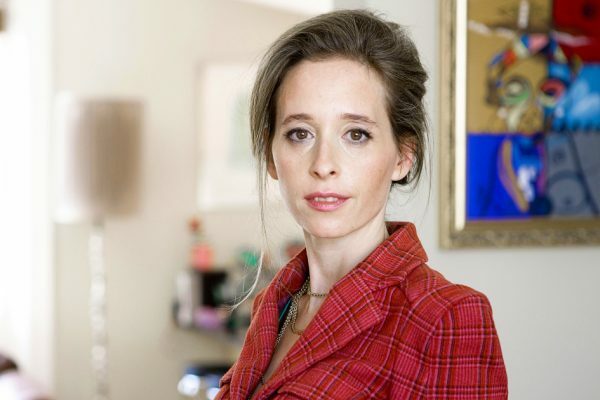 © 2019 Noreena Hertz Microsite | CSA Celebrity Speakers.